Most people manage to go through life without ever being charged with attempted murder. Miguel Santiago is different. Last week, Santiago was charged with attempted murder for the third time in Illinois. 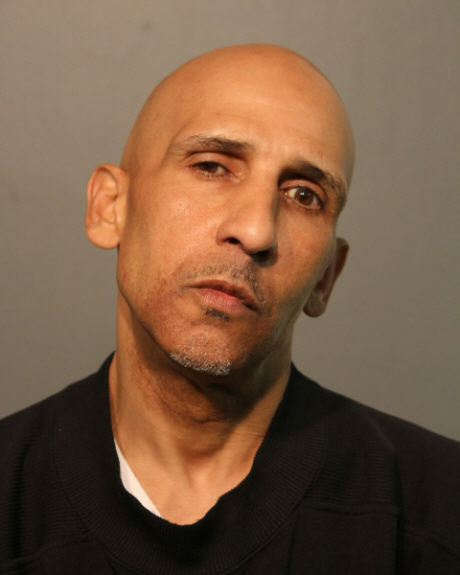 He’s was convicted once, settled for a lesser charge on the other, and is now being held without bail for allegedly trying to shoot someone on an Uptown street last Monday. Police said the latest incident was domestic-related. In 1984, Santiago was charged with attempted murder, armed violence, and multiple counts of aggravated battery. He pleaded guilty to one of the battery charges and was sentenced to six-years. Then, Santiago was sentenced to 24 years in prison in 1996 after being found guilty of murder-intent to injure. Details of the crime were not available. Yet, before those 24 years are even over, Santiago is now jailed again for allegedly trying to kill someone else. Prosecutors say that around 10:15 a.m. last Monday, Santiago pulled out a 22-caliber handgun and opened fire on a man in the 4500 block of North Broadway, directly across the street from the local alderman’s office. Incredibly, no one was struck by the gunfire. Cops found Santiago a few minutes later as he peddled a bike toward his Lakeview home. Following Santiago’s instructions, cops went to a portable toilet in Uptown and found a handgun he had stashed away, police said. Santiago has been ordered held without bail. Thankfully. Daniel Bol, 25, became somewhat of a regular at the downtown police station this winter. Between January 8 and April 3, Bol managed to get arrested and charged with shoplifting not once, not twice, not four times, but SEVEN times. As bonuses, he was also busted for shoplifting in Greektown last September and is currently facing a new shoplifting charge in suburban Homewood. That’s nine shoplifting charges in eight months. • September 8 — Charged with stealing $276 worth of Abreva; Pepcid AC; and Zyrtec from the Greektown Mariano’s, the case was thrown out when the store failed to appear in court. • January 8 — Charged with stealing $44 worth of Red Bull from the Greektown Mariano’s. Prosecutors dropped the case. • January 11 — Charged with stealing sixteen packs of “medicine” from a Near South Side Jewel-Osco, he was sentenced to eight days time served by Judge Marvin Luckman. • January 28 — Charged with stealing $515 worth of Nicorette, razor blades, deodorant, and baby formula from the Target store on State Street, he pleaded guilty and was sentenced to six month’s court supervision by Judge Anthony Calabrese. • February 20 — Court supervision got off to a rocky start when Bol was charged with stealing $332 worth of Red Bull, Claritin, Zyrtec, Nicorette, and Skittles from the same Target store. Charges were dropped because Target didn’t show up in court this time. 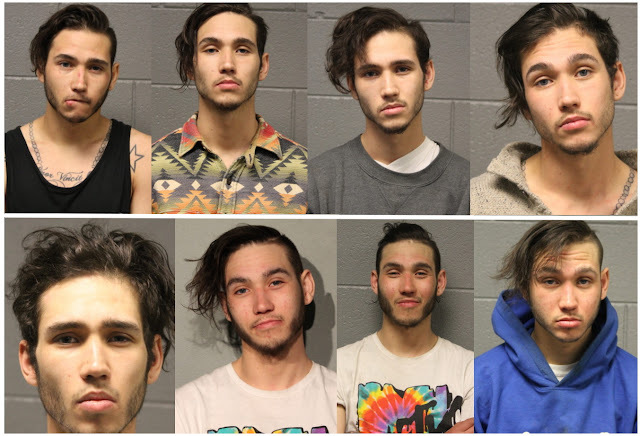 • March 7 — Charged with taking $292 worth of Red Bull, Tide, and other items from a Near North Jewel-Osco, Bol wounded up in Judge Calabrese’s court again. The judge sentenced him to two days time served. • March 17 — Charged with stealing a pack of t-shirts and twboxesks of Nicorette from Target on State Street again. The case was dropped by prosecutors. • April 3 — Charged with stealing $82 worth of Nicorette and Tide from Target in the South Loop. This case is on-going. • April 26 — Charged with stealing $174 in general merchandise from Jewel-Osco in Homewood. The case is also ongoing. • November 5 — Accused of distracting a Near North taxi driver and stealing $125 from the cab’s center console. The cabbie failed to appear in court and charges were dropped. • November 30 — Cops in the Loop were flagged down by a taxi driver who identified Euring as the man who failed to pay for a cab ride and then stole a bundle of cash from the taxi’s front seat. Cops said Euring was carrying $27 in one dollar bills at the time of his arrest. Judge Anthony Calabrese sentenced Euring to eight days time served. • December 16 — Euring was arrested in the Loop after he refused to pay for a short cab ride. He was not accused of stealing any money from the driver this time. Prosecutors dropped the case. • March 12 — A cabbie flagged down cops on the Mag Mile and reported he picked up Euring and a woman at Water Tower Place. After traveling one block, Euring allegedly said: “forget it, I’ll grab an Uber.” While the woman distracted the driver, Euring allegedly grabbed the cabbie’s phone from the front seat and fled. While police were talking with that driver, another cabbie pulled up and said that the two people in his back seat had just tried to steal his phone from the center console. Guess who the two people in the back seat were? Yep! Euring and the woman. Euring was charged with theft, attempted theft, and assault. Judge Calabrese sentenced him to fourteen days minus eight days time served. • April 1 — What were you doing on Easter morning? According to prosecutors, Euring was in the Loop stealing from a taxi driver. Police say a taxi driver flagged them down in the 200 block of North Wells around 11 a.m. and reported that his passenger had begun kicking the back of his seat, saying he had lost his phone in the cab. When the cabbie pulled over to help the passenger look for his phone, the man reached into the taxi’s center console, removed $43, and walked away without paying his fare, the driver said. Cops caught up with Euring whose alleged “verbal admission” was captured on police body cameras, according to court records. Euring is charged with theft and theft of services. He’s due in court on Friday.